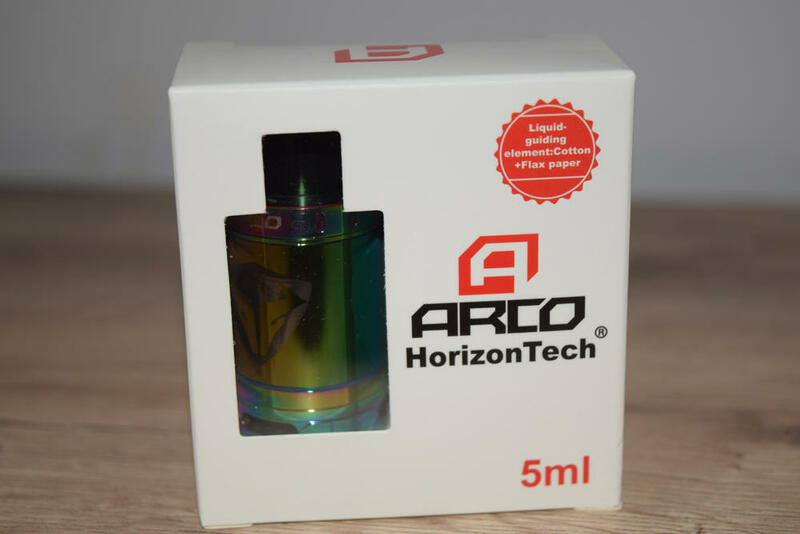 The HorizonTech ARCO comes in a small and simple cardboard box, with a transparent cutout offering a clear view of the tank inside. It’s a really basic packaging, flimsy cardboard and standard information, nothing to write home about, so I’m not going to waste anymore time talking about it. They may want to look to the competition for suggestions on how to better present their products, is all I’m going to say. 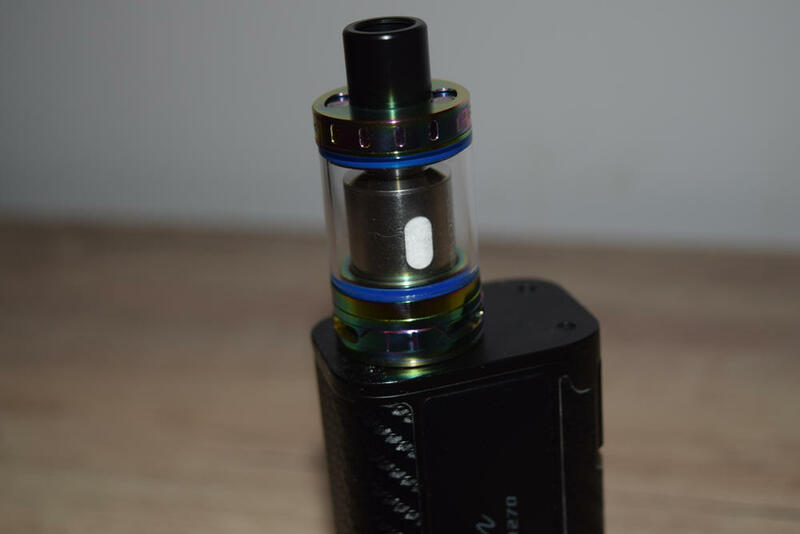 Inside the box, we have the ARCO tank placed in a white Styrofoam holder, next to a spare coil – another comes pre-installed in the tank – a spare glass tube, and a bag of spare parts (o-rings, fill port gaskets and a 510 drip tip adapter. You’ll also find a small piece of plastic, like a guitar pick, as well a small instruction leaflet. It’s not the most informative thing in the world, but, then again,k this really isn’t a very complicated tank. All and all, it’s a decent tank kit. I like that they included a spare glass tube as a backup, in case you crack the original. They could have maybe added an RBA base, but that may be asking for too much from a $26.90 tank. 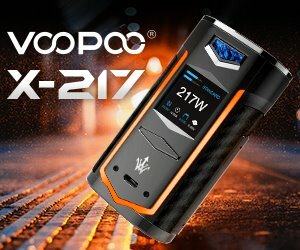 The ARCO is 25 mm in diameter, which means it will overhang a little bit on most mid-sized dual-battery mods, like the SMOK Alien or the T-Priv, but it looks really good on something like the iJoy Captain PD270. It’s also around 50-mm-tall, so overall a fairly large tank. If you’re not into big, bulky vaping gear, you’re probably not going to like the ARCO very much, but it does come with the advantage of being able to hold 5 ml of juice. 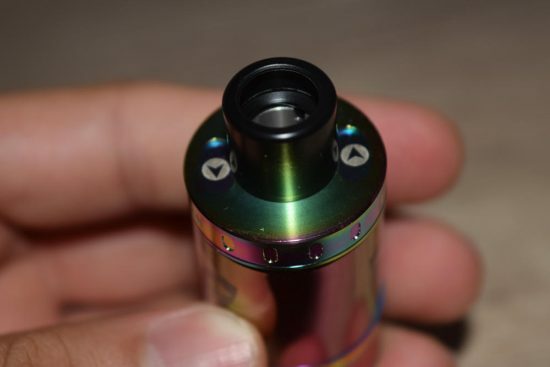 From top to bottom, the HorizonTech ARCO features a Delrin sleeve-like drip tip which slides over a raised stainless steel chimney, but if you want to use your favorite 510 tip, you can use the included 510 adapter. 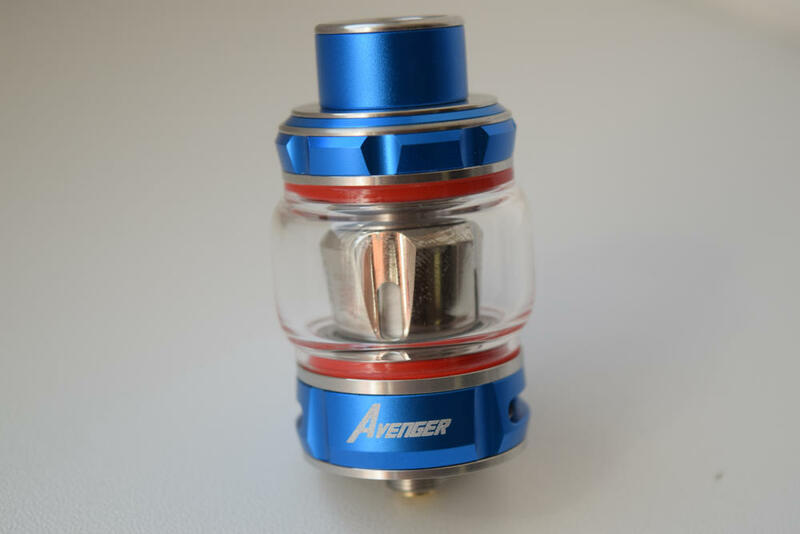 The stainless steel top cap features two large fill ports, which is kind of strange, as one would have been more than enough. It’s not like you’re going to fill the tank with both hands at the same time. Anyway, it has two fill ports that open by turning the top cap counterclockwise. This reveals to large holes lined by replaceable rubber gaskets. In order to get to the gaskets, you need to use that guitar pick thing I mentioned earlier, and unscrew the raised chimney. 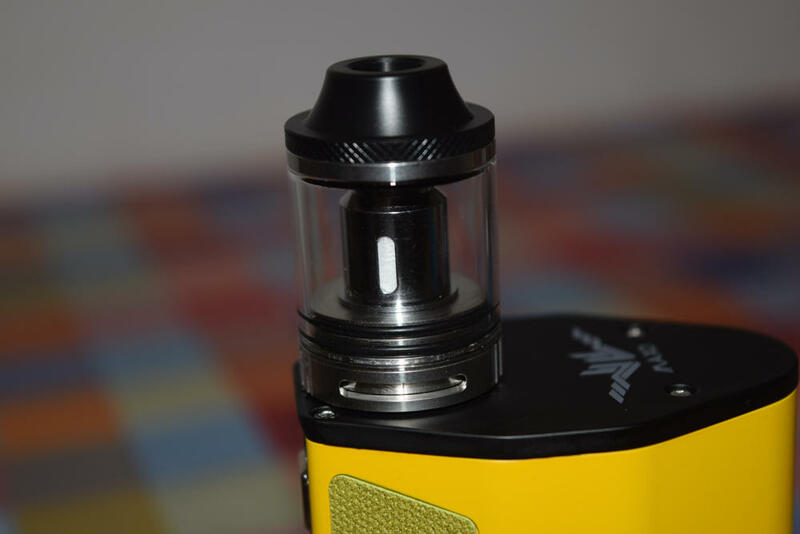 You can then remove the tank top cap and clean or replace the gaskets. The ARCO comes with a colored tube that only allows you to check the juice level inside through two small windows which have the HorizonTech logo smack in the middle. I’m not a big fan of this tube, 1) because of the low visibility, and 2) because it doesn’t feel like glass. I checked online, and it’s apparently Vacuum-Plated Glass, whatever that it, but it’s as light as plastic. Anyway, that’s a subjective con, but I’ve been using mine withe the clear glass replacement included in the kit. It lets me keep an eye on the e-liquid level, and it’s got that familiar glass weight and feel to it. 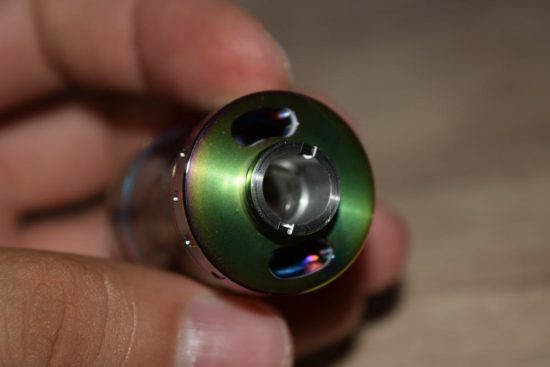 Inside the tank, we have a short chimney and a monster coil-head (about the size of the SMOK TFV8 coils), and, on the base, we have a three-slot adjustable airflow ring, and a non-adjustable 510 connection pin. As I mentioned in the beginning of this review, the HorizonTech ARCO is not the most visually-appealing tank I’ve ever used, but in this case, it’s what’s inside that counts. This thing is all about the coil-heads, specifically the flax paper wrapped around those heating elements. The HorizonTech ARCO comes with two different coils – The A4 and the A6. 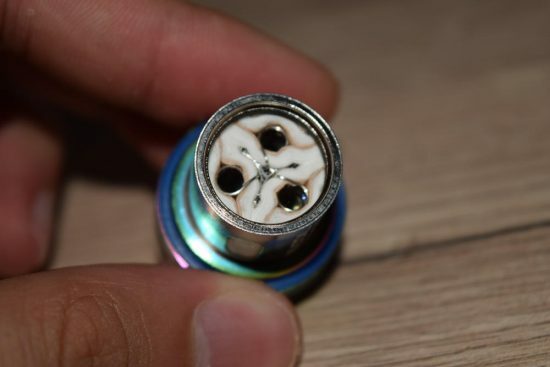 The first one is a dual parallel coil, with 4 pieces of wire intertwined to make one large diameter coil, while the second is made up of six pieces of wire, split into three smaller diameter coils. 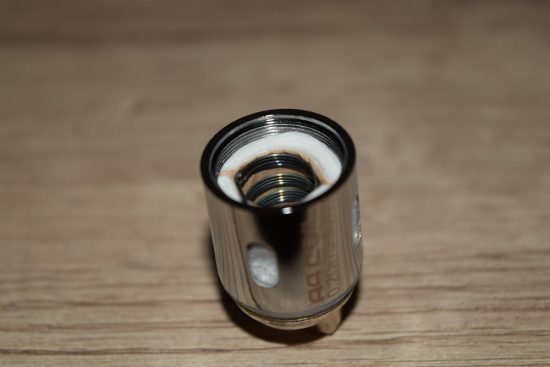 They are both rated at 70W – 90W, and look very similar to SMOK’s TFV4/8/12 coil-heads, with one small difference – a thin brown layer separating the coils from the cotton wicking. That’s the flax paper I was telling you about. So why did HorizonTech decide to add flax paper when everyone else has been using simple organic cotton for so long? Well, I guess they thought it would draw some attention, which it definitely has, but they also have some interesting arguments for their choice. Apparently, flax leads the liquid to the coil through its natural fiber, unlike cotton, which leads the e-liquid by the interspace. Flax paper can also absorb more e-liquid than cotton, which means it can supply sufficient e-liquid to the coil, enhancing flavor and minimizing the risk of dry hits. Flax has a higher burning point than cotton, when wet, so the chance of getting a burned taste in your mouth is very low, as long as the paper is saturated with juice. These are all very interesting arguments, and they do make flax sound like a great alternative to cotton, especially for people who have a sensibility to the popular wicking material. However, ARCO coils also use cotton wicking, but it just doesn’t come in contact with the heating elements. It’s just there to hold juice and feed it to the flax paper. It’s definitely a novel idea, but it all comes down to how well flax paper performs when vaping. I really didn’t know what to expect from the ARCO Tank. Yes, it looks a lot like the SMOK TFV8, and it even has that same type of beefy coils, but that flax paper layer was a complete unknown. Was it going to taste funny, was it even going to be saturated enough to prevent dry hits? I had no idea, but I was going to try it an find out. It might not look like it, but the ARCO is a flavor tank, first and foremost. Yest it can also put out a decent amount of vapor for its size, but it’s the flavor of the juice that really stands out. I don’t know if it’s actually the flax paper, although HorizonTech does claim that it enhances flavor, but I’m getting probably the cleanest flavor I’ve ever gotten out of a tank. I’m currently vaping Purple Cactus by The Clean Vape, and it’s amazing. One thing you should know is that these coils need to be primed a bit longer than regular cotton-wick coils before they hit peak performance. That’s definitely because of the flax paper, it’s even mentioned in that small instruction leaflet, and I can confirm that it’s 100% true. 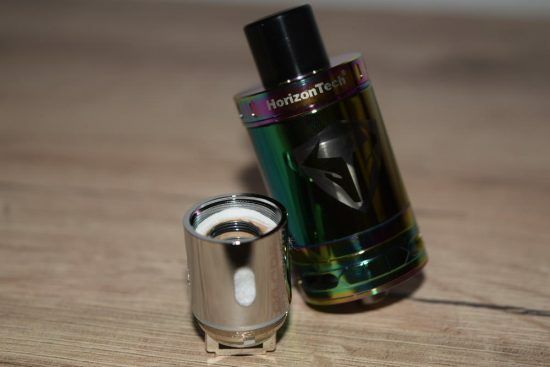 HorizonTech claims that flavor tends to become perfect after about a full tank of juice. 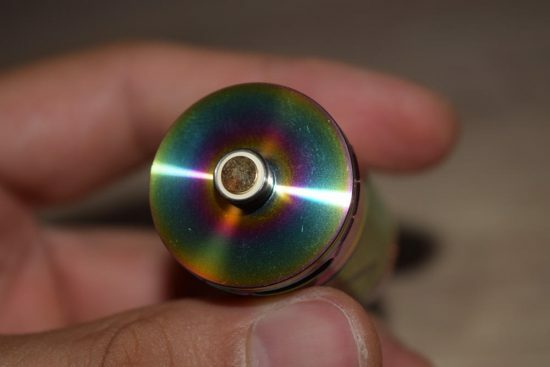 I also recommend taking the time to drip plenty of juice into the coil, before filling your tank. As I mentioned, flax paper holds more juice than regular cotton, so you want it to be nice and saturated when you take your first draw. I also let the tank sit for a good 10 minutes before filling it up, just to be sure. If you do everything right, though, your patience will definitely be rewarded. I was more than happy with the vapor production as well, but then again, I almost never vape at over 100W. 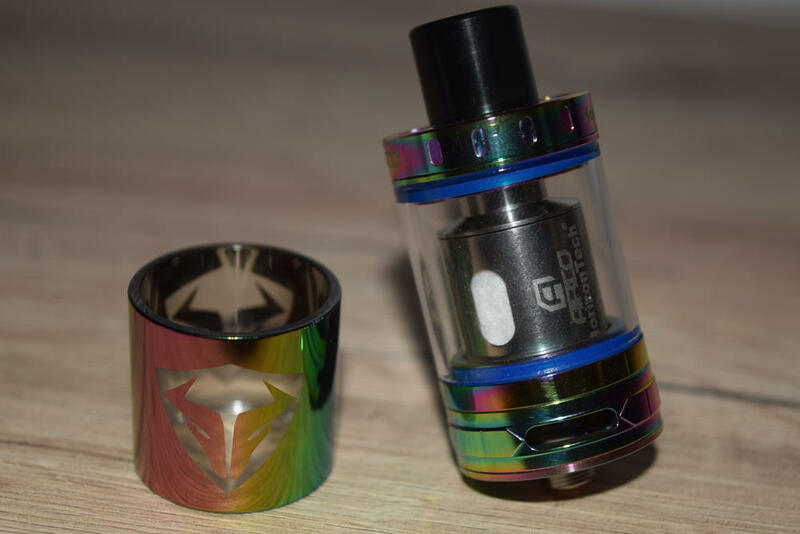 The 70W – 90W range of the ARCO coils is perfect for my needs, the vapor is just nice and warm, and more than enough in volume. I’m currently using the A4 coil-head at 80W and it’s working like a champ. The coils seem to last a long time as well, which is a nice bonus. I’ve been vaping the A4 for almost two weeks now, and I’ve noticed no change in flavor, which means it will probably last me another week, at least. Granted, Purple Cactus is a very clean, low-sweetness juice, but still it’s high VG and that alone is enough to kill a lot of coils pretty fast. 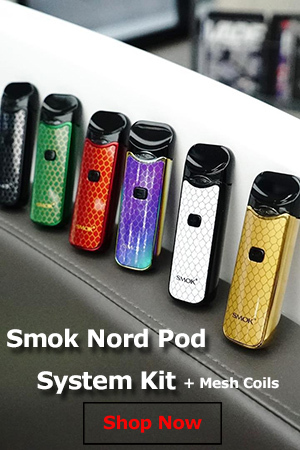 I’ve had no leaking issues at all, but seeing as how my SMOK Big Baby Beast leaked like crazy, while most other reviewers reported no leaking issues, I can’t guarantee that yours won’t have a manufacturing defect. These things happen, but you can just return the tank for a new one. After reviewing the Tigertek Springer X RDA, I din’t think I’d see anything truly innovative in vaping for a while, but HorizonTech managed to surprise me with their flax paper idea. 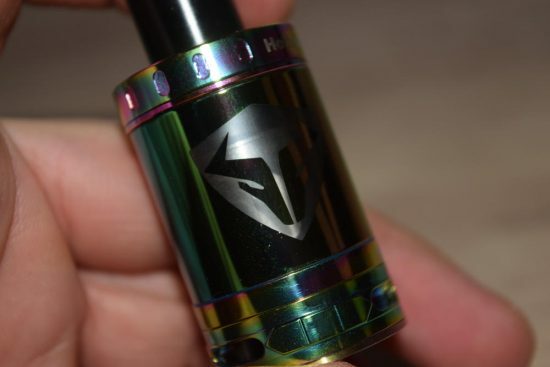 It’s definitely something worth trying out, especially if you’re a curious vaper, like me. I guess you can call me a fan of it, honestly. The flavor is great, vapor is great for the recommended wattage range of the coils, and I really have no serious performance issues to report. It does crackle and pop sometimes, but it’s not a big deal. Overall, I think it’s a nice tank, especially for $26.90.